Nevada is a state on the west side of the US, right next to California. It's state nicknames are Silver State because of the silver discovered there, Sagebrush State because of the sage brush that grows there, and the Battle Born State because it became a state during the civil war. The state name comes from the Spanish word for snow covered, because of the snow on the mountains in the winter. 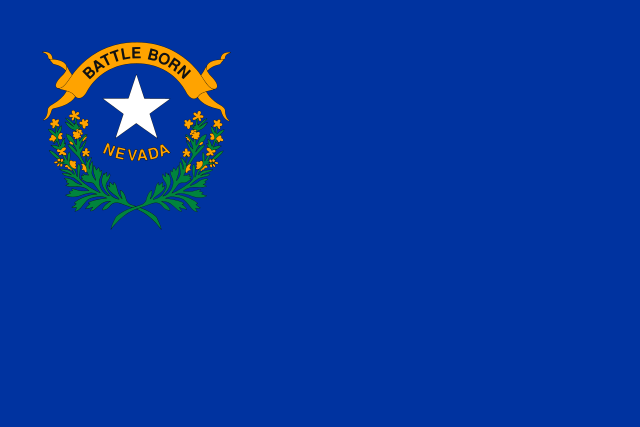 The Nevada flag has a blue background with a silver star, a yellow scroll with the words Battle Born, and some green sage brush plants. These are for the three state nicknames. The seal of Nevada has a silver miner, a quartz mill, a train, telegraph poles, a sheaf of wheat, a sickle, a plow, the sin rising over snowy mountains, the state motto "All for Our Country" and 36 stars because it was the 36th state added to the US. 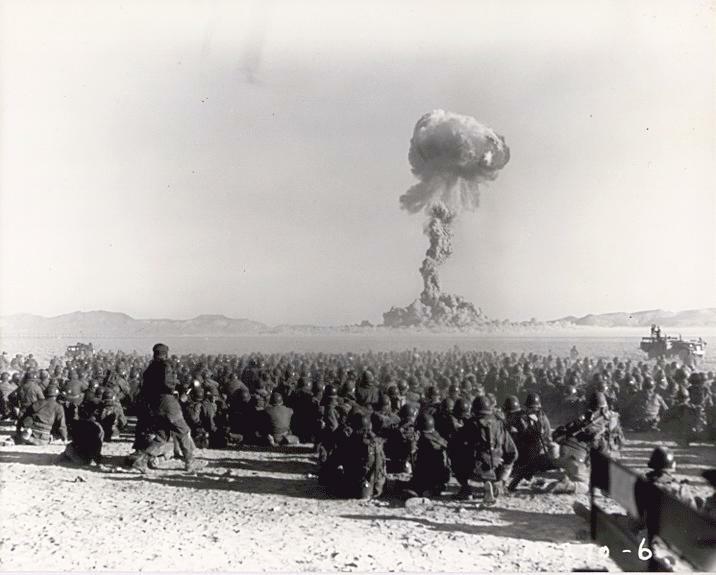 In the 1950s there was a place in Nevada called the Nevada Test Site where people would test nuclear bombs out in the desert. In the 1920s there was a large dam on the border of Nevada and Arizona called the Hoover Dam. It gets power from the water called hydroelectric power and gives the electricity to the cities. In the city of Las Vegas, there are many casinos where people can go gambling. Many of the casinos are very fancy like pirate ships, huge fountains, pyramids or even made to look like the cities of New York, Paris or Venice. 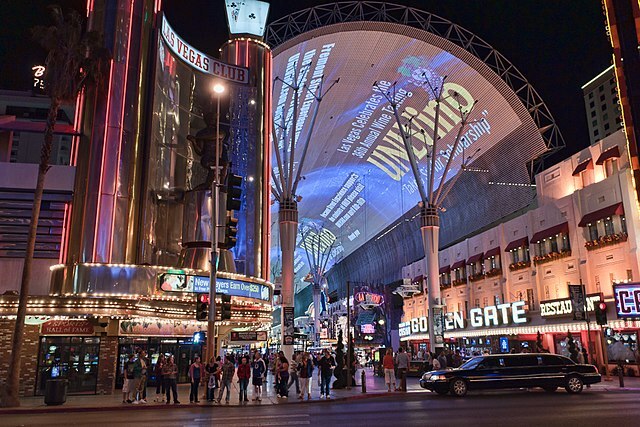 One of the streets called Fremont Street has a giant TV screen above it for four city blocks.